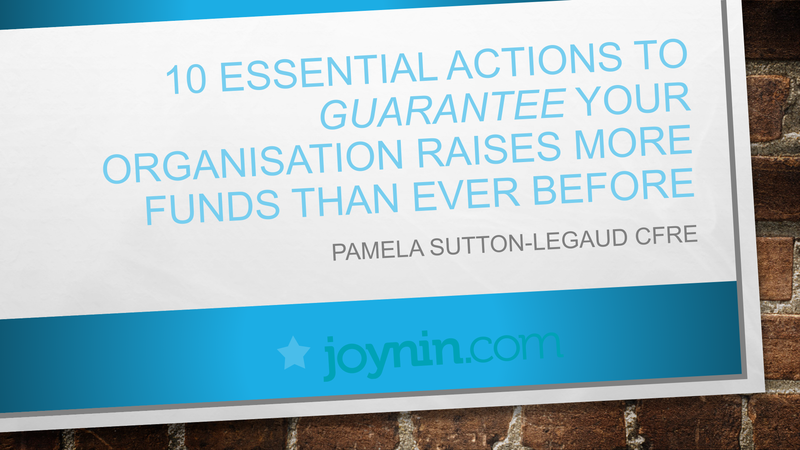 Donors give because your organisation MEETS needs not because your organisation HAS needs. There are approximately 600 000 not-for-profit organisations (NFPs) in Australia. Most of these are small, non-employing organisations that rely on the voluntary contributions of members and external volunteers. Around a quarter of NFP employees were employed by the community services sector in 2006-07. The number of NFP employees in community services grew strongly from 156 000 in 1999-00 to 221 500 in 2006-07 during a period of strong economic growth. The community services workforce is often characterised as being female, part-time and middle-aged. The data confirm these propositions. Women represent 87 per cent of employees, working an average of 31 hours per week, with an average age of 41 years — the average age of employees outside the health and community services workforce is 39 years (AIHW 2009). Difficulties attracting and retaining staff — a workforce crisis? Around half of the sector’s income is self-generated (including fees for goods and services). A third is received from government (including contracted government services) and around 10 per cent from philanthropic sources. In 2006-07, the sector generated $41 billion gross value added (GVA) — equivalent to 4.3 per cent of total GVA. This with the national income of the wholesale trade sector ($48 billion), transport and storage ($48 billion) and government administration and defence ($40 billion).3 It is larger than the gross value added of the communications sector ($25 billion), but smaller than that of finance and insurance ($77 billion) (ABS 2009b). In other words, it is a very significant sector and growing. NFPs report rising costs of recruiting, managing and training volunteers. Minimum qualifications, occupational health and safety, food safety, security checks, and public liability insurance add to these costs. While this analysis concentrates on community services, many of these issues are relevant to other parts of the NFP sector, including sports, arts and culture.